“Clean” is defined by Merriam-Webster as “free from dirt or pollution” or “free from contamination or disease,” but it is worth noting that there is no universally accepted definition of “clean” which has been adopted by everyone in the cleaning industry. According to the Cleaning Industry Research Institute website, Dr. Michael Berry (Chairman of the Science Advisory Council for CIRI and author of the book Protecting the Built Environment: Cleaning for Health) has proposed the following definition of clean: “an environmental condition free from unwanted matter” – and has further defined “matter” as “anything of substance.” While this definition has not been universally accepted by the cleaning industry, it is a good place to start. Traditionally, the assumption has always been made that “if it looks clean, it is clean”. In other words, people in the cleaning industry typically strive for a surface which has been cleaned for “appearance”. This “white glove” method of determining surface cleanliness has frequently been referenced as a standard to meet. If the term “white glove” is not specifically stated then it is often present in spirit in these situations. A certain amount of truth can be derived from performing a white glove cleaning test. However we now know that while removing the visible dirt is important, it is just the beginning if a clean and hygienic surface which is free from all pathogenic bacteria. Oftentimes it is the dirt and bacteria which cannot be seen which can be the cause for the most concern. Although there is no shortage of anecdotal evidence to support marketing claims touting the efficacy of a variety of cleaning products and equipment which leave a clean surface appearance, not all of these claims have been validated by scientific data. But can the total cleanliness of a surface be measured? According to the ISSA and CIRI, Adenosine Triphosphate (ATP) testing systems can be used to measure the biological load present on a given surface, and therefore serve as a qualitative measurement of the overall cleanliness of that surface. Using ATP testing, the folks at Kaivac Cleaning Systems embarked upon a study which measures the cleaning effectiveness of three cleaning processes: string mop cleaning, flat microfiber mop cleaning and high flow fluid extraction (HFFE) method. What is high flow fluid extraction? High flow fluid extraction combines the three primary components in the process of cleaning – agitation, chemical and time – and then combines them with a process which ensures that fresh ingredients (including fresh water) are flooded upon a surface, and then unwanted contaminants and soils are suctioned away, leaving a surface which has been cleaned for both appearance and health. What Were The Results of The Cleaning Study? The study found that the High Flow Fluid Extraction (HFFE) cleaning process was more effective at removing urine residues on restroom floors, and more effective at removing bacteria from grouted surfaces. Grouted Surface: After cleaning with water, both string and flat mops left 30 times more urine residue than HFFE cleaning. This difference equates to a cleaning efficiency of 38% for both string and flat mops compared to 98% for HFFE cleaning. Tile Surface: After cleaning with water, both string and flat mops left 12-13 times more urine residue than HFFE cleaning. This difference equates to a cleaning efficiency of 76% for string and flat mops cleaning compared to 98% for HFFE cleaning. After cleaning with an EPA registered disinfectant, HFFE cleaning 35 times less residual bacteria than flat mop cleaning. Urine residue reduction also greatly reduced the odor emanating from the restroom floor. The HFFE cleaning process includes built-in dwell time which is very important for the loosening and lifting of soils from the surface. Typically this dwell time is minimized during mopping due to the fact that the liquid application and the soil entanglement occur simultaneously. The high flow extraction of soils and liquid through the system’s built-in wet vacuum ensures that contaminants are removed from the restroom floor, including the vulnerable grout lines, where the string and flat mop cleaning methods fail to agitate, absorb, or lift soils. Also, minimal liquid is left over after cleaning with the HFFE process, which inhibits post-cleaning bacteria growth. Mopping processes leave behind a substantial residue of moisture, soil, water deposits and cleaning compounds along with requiring more dry time. Finally, the HFFE cleaning process employs sound bio-waste management procedures by continuously applying fresh cleaning fluids, removing the se wastes from targeted surfaces, and properly containing and quarantining these wastes in an isolated and safe compartment (the vac tank) for proper disposal. This approach minimizes cross-contamination throughout the restroom and to other areas of the building. While there are different opinions on what to ultimately do with the science behind cleaning, it stands to reason that better cleaning results can be expected using a cleaning process which has been scientifically validated. 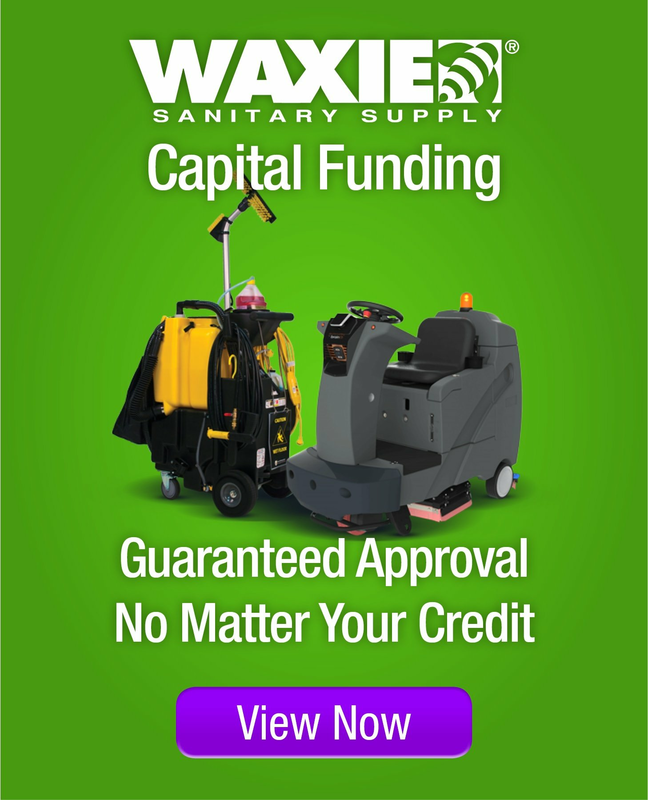 WAXIE will continue to research, innovate and advocate for the most effective cleaning processes which most effectively remove soil and bacteria from surfaces throughout a facility, and will continue to represent cleaning advancements like HFFE. For additional information on the WAXIE VERSA and VERSA II High Performance No-Touch Cleaning Caddies, which utilize the HFFE process, please visit the WAXIE VERSA page.